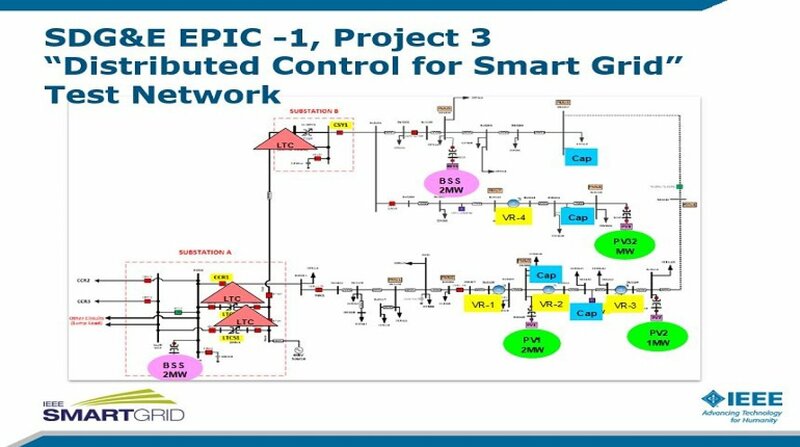 Under the California Electric Program Investment Charge (EPIC-1) project for Distributed Control for Smart Grid, San Diego Gas & Electric conducted a demonstration of various DERMS use cases. The demonstration consisted of the modeling of two SDG&E substations and feeders with an open tie and various downline DERs and devices. The softward was written and delivered by Advanced Control Systems. The seminar will summarize the findings, benefits and recommendations related to a DERMS installation. The demonstration consisted of control of LTCs, Voltage regulators, capacitors, switches and DERs. The DERs were 2MW PV inverters with a 2MW energy storage unit, each operating with injection into the grid. Various use cases were demonstrated to study quiescent and stress operating states including failure modes, low and high DER injection modes, low and high load conditions, with the transition performance between each mode of operation. Three classical control technologies were compared and will be reported for each demonstration.